if needs other remotes need to add extra value ! if need shock sensor ,ultrasonic sensor,bypass,window closer module,siren ,needs to add extra value! it is real 2G version!it can work with our smart car alarm system,it supports 2G SIM card,3G SIM card,4G SIM card. but it must have 2G net in your country,please choose our 3G module if your country has not 2G net! moudle,1pc english manual,1pc color box. 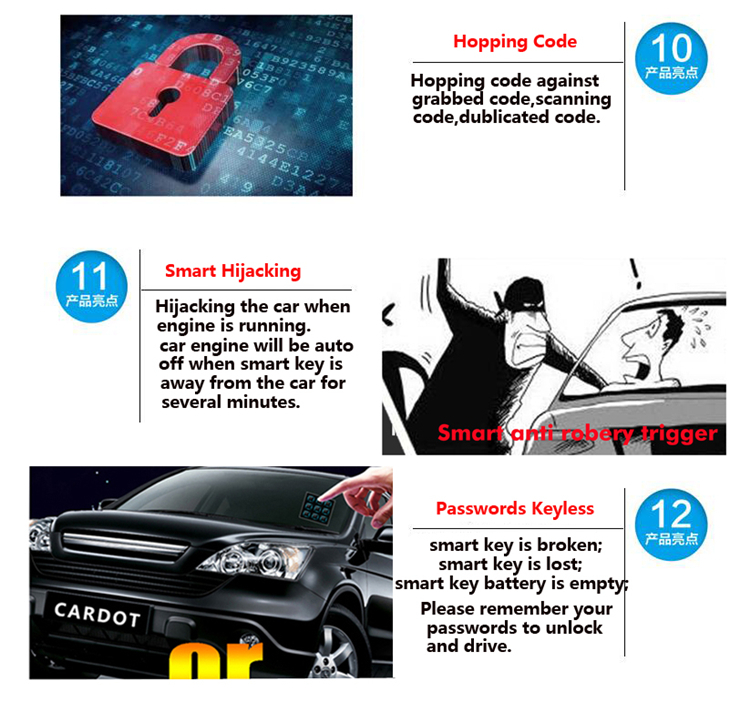 be auto locked;take the smart key near the car,it is auto unlocked status. range,car door will be auto locked after 25 seconds. 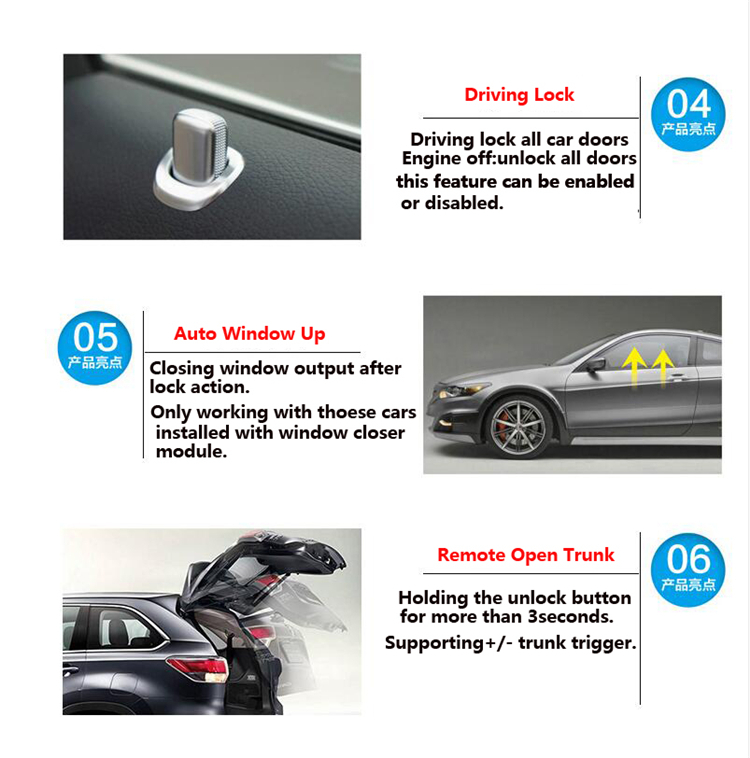 brake or open car door and then engine will be off. door,car door will be auto locked after 25S. opening door action,sometimes it will lock your keys inside the car. when you open the car door or press the footbrake. us,we can upgrade your system online,it will save much trouble and cost. 6.Our GSM and GPS antenna is external,signal is better. 20km/h,plus passwords confirmation,engine will be off by mobile app operation. will get alarm message reminding. 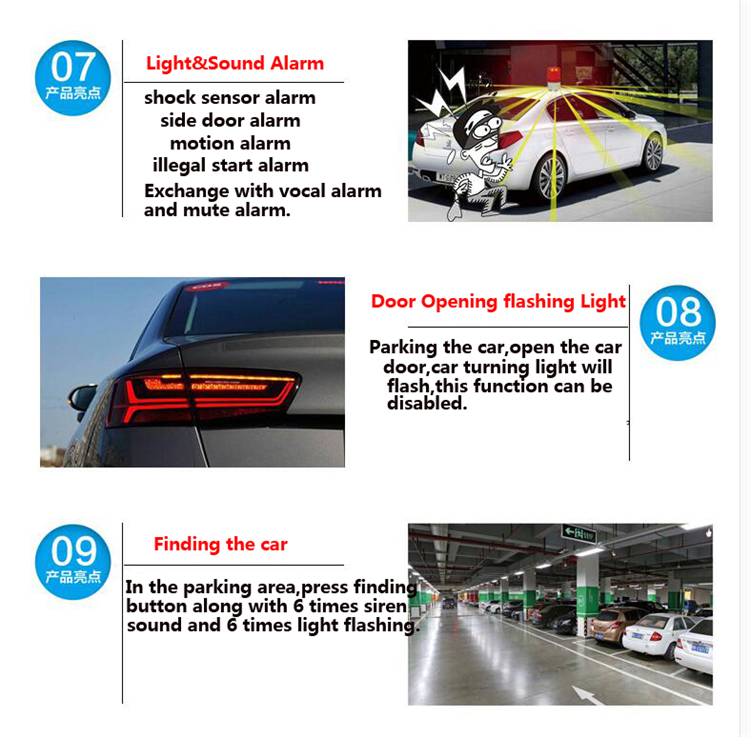 12.bluetooth mobile APP control the car without gsm or gps signal! 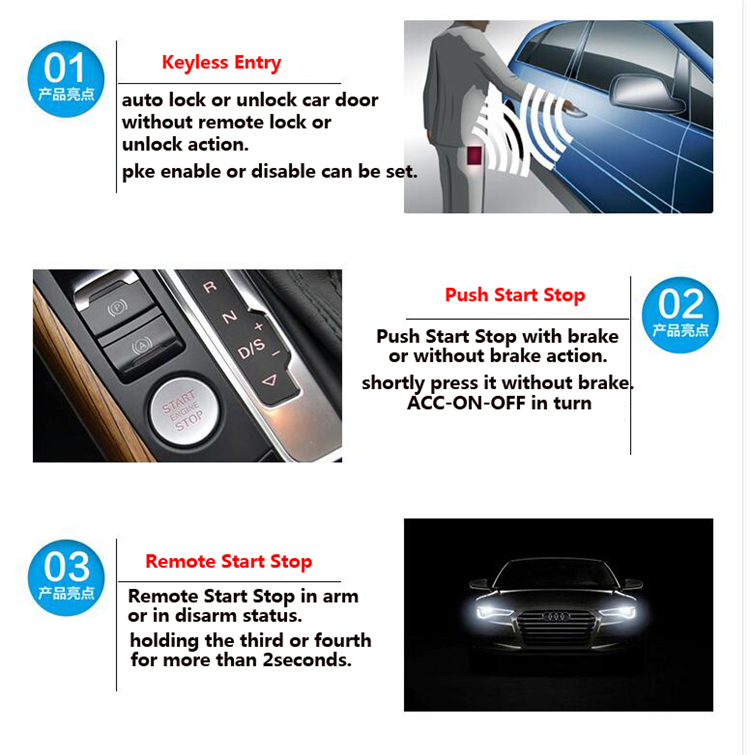 13.bluetooth auto lock or unlock car door! 16.GPS function enable or disable by SOS! 17.We can send you free value API file when you order qty is more than 100pcs one time! 18.we can make customized product or service by your order requirements!